On this podcast we discuss how changes to overtime laws will affect school districts. The Department of Labor has recommended drastic changes to the Fair Labor Standards Act (FLSA) wage and hour laws and I brought on Adam Taylor, Co-Founder and Vice President at K12 HR Solutions to discuss how changes to overtime laws will affect school districts. If you prefer to read about these changes, you can read our last article on K12 HR Solutions, How School Districts Can Prepare for Upcoming Changes to FLSA. In this episode Adam provides a brief overview of FLSA, types of classifications, and most importantly the changes to how school districts classify employees that receive overtime pay. This episode is full of information to keep you informed of proposed FLSA changes and how they affect school districts. We are also providing a free packet of resources. 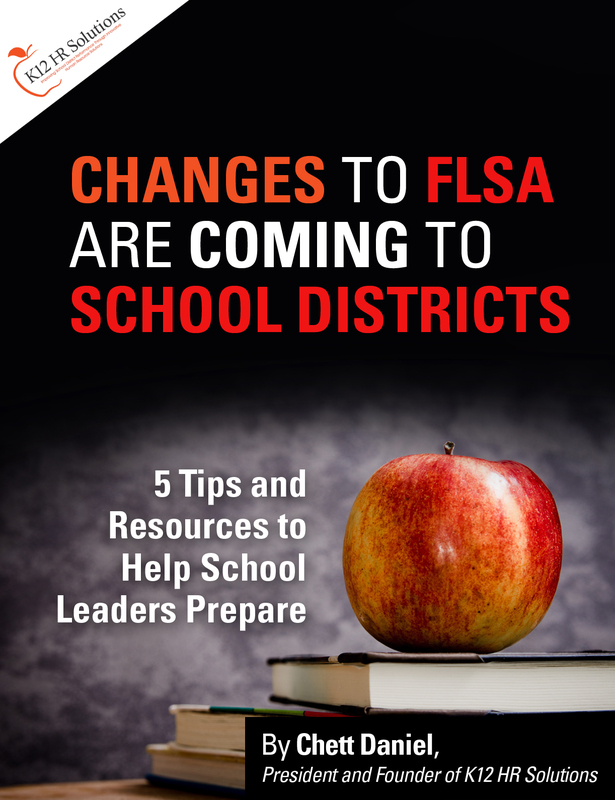 Click on the link below to receive our bundle of complimentary resources to help your district get prepared for changes to FLSA for school districts. A Budget Impact and Estimation Tool to evaluate the cost of potential changes to and possible solutions. 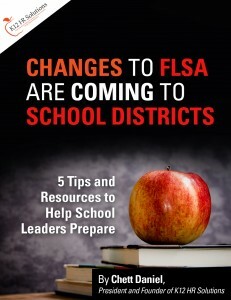 5 Tips for School District Leaders to Prepare for Changes to FLSA.